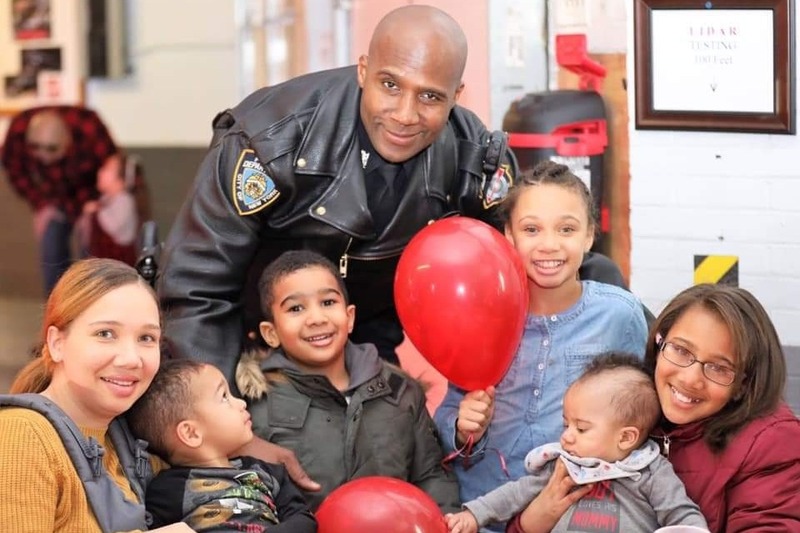 NYPD Officer Marc St. Arromand, a 14-year veteran of the police force, died in a motorcycle accident on the Belt Parkway on April 11. Photo via GoFundMe. An off-duty NYPD officer died when he collided with a guardrail and was struck by another vehicle on the Belt Parkway Thursday. Officer Marc St. Arromand, 42, was riding his 2011 Yamaha motorcycle to work at about 5:30 a.m. He was killed near Merrick Boulevard in Laurelton after hitting the guardrail and falling in the path of a 53-year-old man driving a 2017 Gray Chevrolet Camaro. EMS took St. Arromand to Franklin General Medical Center, where he was pronounced dead. The driver who struck St. Arromand remained at the scene. No arrests were made in the ongoing investigation. St. Arromand was a 14-year veteran of the NYPD and served in the Brooklyn Highway Patrol Unit. He is survived by his wife Cecilia and five children, including a newborn. A GoFundMe established on behalf of St. Arromand’s family had raised more than $31,000 in less than 24 hours.